The receptionist Sarah was super warm and helpful! And informative! The vibe is cool! Lots of partying and stuff going on every night, but so much fun! 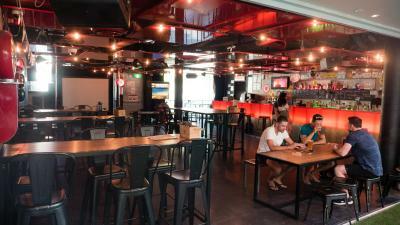 Good place if you're a solo traveler! 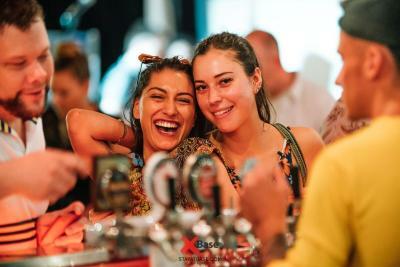 Friendly staff and a comfortable, clean room for such a cheap price and in a perfect location was all we needed to have a perfect night out. A bonus was the private balcony attached to the room. 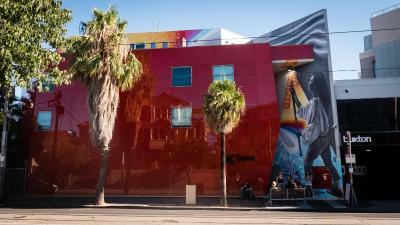 St. Kilda is NOT right in downtown Melbourne so if that’s what you’re looking for, not for you. 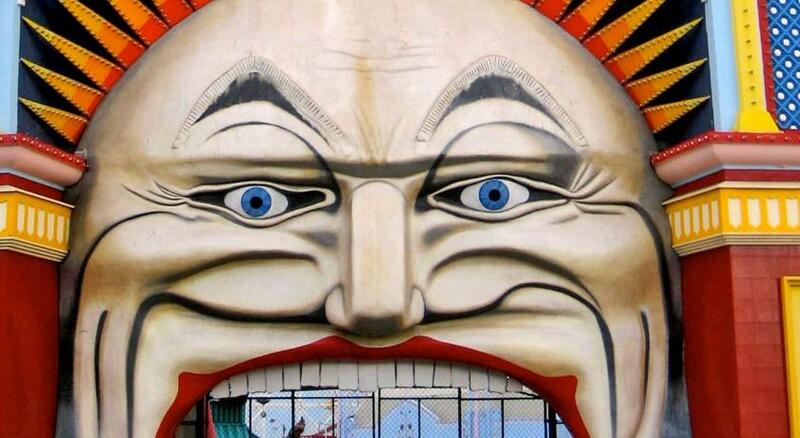 That being said, all you have to do is get a Myki card and take the tram into The city. 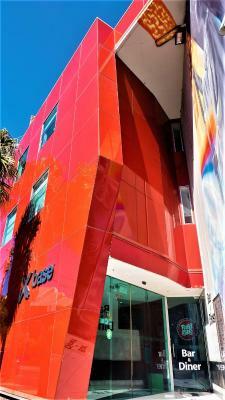 Base St. Kilda is incredible and I’d definitely stay again! I met a lot of amazing people there and the staff had great, nightly activities to help travelers meet. 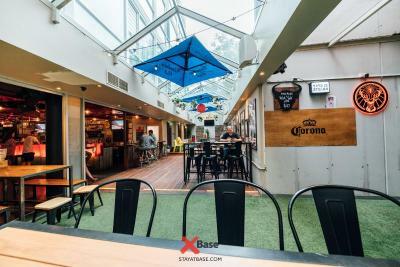 They offered a dinner voucher to make up for the "error"
Base Backpackers - St Kilda This rating is a reflection of how the property compares to the industry standard when it comes to price, facilities and services available. It's based on a self-evaluation by the property. Use this rating to help choose your stay! Base St Kilda is a modern hostel located 1 minutes' walk from the cafe and bars of Acland Street and 5 minutes’ walk from the beach. 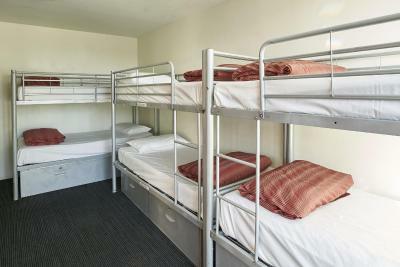 All rooms have private bathrooms, lockers and heating/air conditioning. 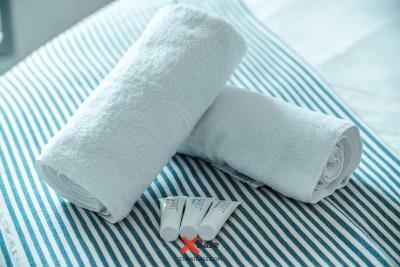 Free linen is provided. 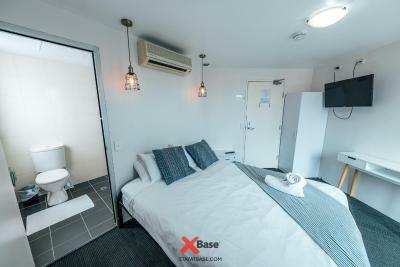 Base Backpackers offers stylish rooms with security card access. Free WiFi is available in public areas. Additional WiFi can be purchased for $4 per day or $12 per week. 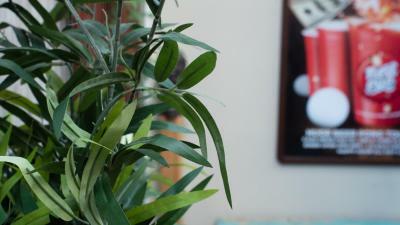 Free continental breakfast is available daily, including cereal, toast, tea and coffee. Reception is open 24 hours a day. 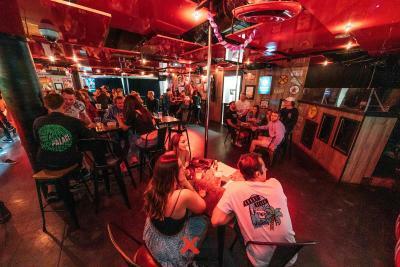 Red Eye Bar hosts a range of nightly events, including foam parties, trivia, Sunday roasts, bingo, silent discos, pub crawls, daily walking tours, football and volleyball. 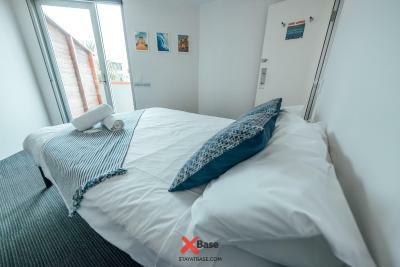 When would you like to stay at Base Backpackers - St Kilda? 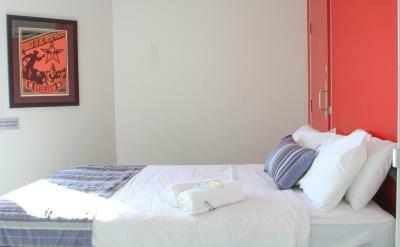 Clean and comfortable, this private non-smoking room features modern décor, TV, and private bathroom. Perfect for solo travelers or small groups wanting their own room. Has a private bathroom with toilet and shower. 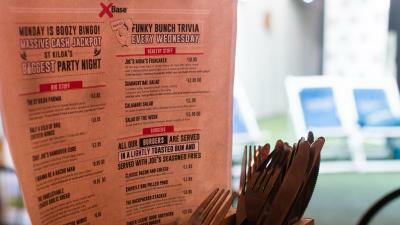 House Rules Base Backpackers - St Kilda takes special requests – add in the next step! 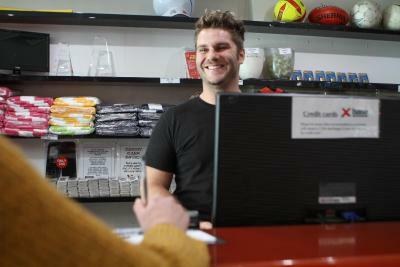 Base Backpackers - St Kilda accepts these cards and reserves the right to temporarily hold an amount prior to arrival. 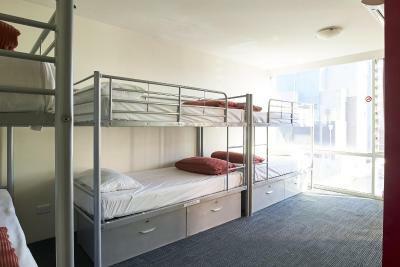 Please note that for bookings of more than 3 guests in the dormitory rooms, the hostel will do its best to ensure guests are accommodated in the same room; however, beds cannot be guaranteed to be in the same room. You must present a valid photo ID (either a passport or drivers license) upon check-in. Extra pays for almost everything. Minimal comfort. Standard of a hostel from the 90s. 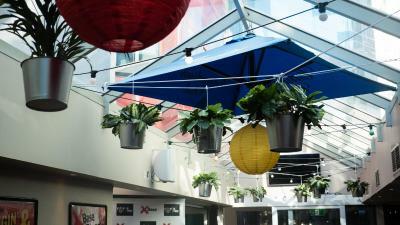 Very well located in the middle of the hipster St Kilda. Really friendly and helpful staff. Too much noise from smokers downstairs. No television or chair/table. Breakfast could have been more vegan friendly. I loved the shower and how comfortable the bed was. The staff were so lovely! The place is really well located. The air cons do work in the rooms you just have to ask at reception, maybe a sign in the rooms informing guests to ask at reception might help as lots of people thought it was broken. 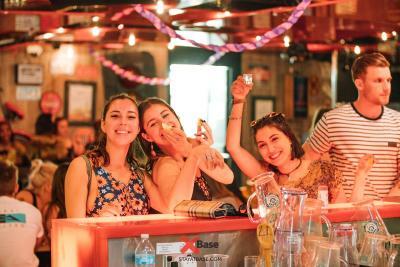 Great location, lives up to its reputation as a party hostel, great for socialising! rooms were fine, clean with enough space for every one. The staff here are amazing! Make you feel at home and welcome, can ask for anything. Want to say a special thank you to Elliot for making me feel welcome from the minute I entered to the moment I left, extremely helpful and informative about tours and the local area. Would always sort any requests I had no matter how busy he was he would always remember and get things done, always going the extra mile for everyone! The staff were very knowledgeable and helpful!! Super fun to talk with too! !